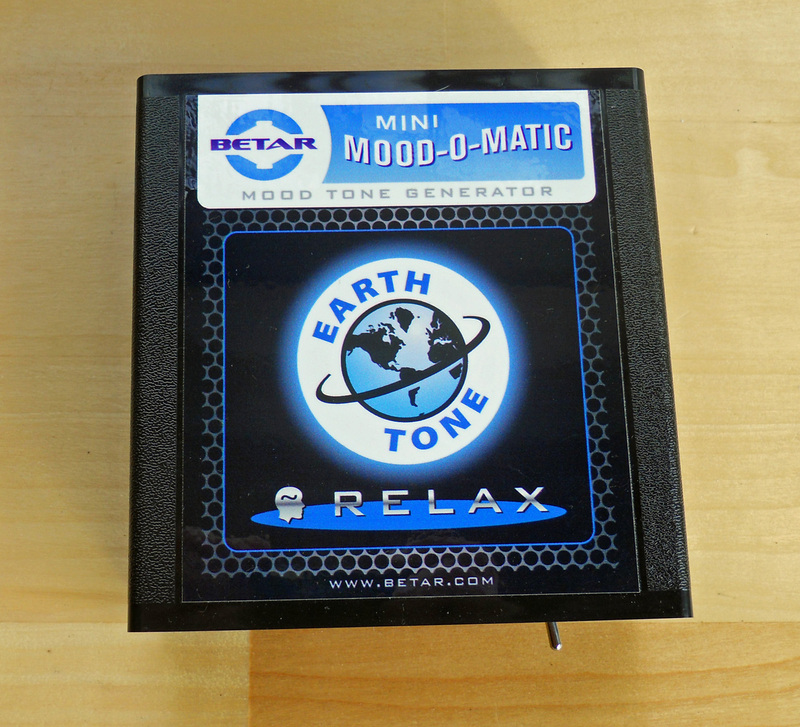 BETAR Mood-O-Matic Mood Tone Generators produce low frequency magnetic waves that may gently stimulate naturally-occurring states of mind: wakeful relaxation or deep restful sleep. Mood-O-Matic: RELAX emits a low frequency tone associated with the low alpha range of human brainwave activity - wakeful relaxation. The RELAX Tone – 7.83 hertz (cycles per second) – is the naturally-occurring frequency of resonance between the Earth’s upper atmosphere and the surface of the planet: The Schumann Earth Resonance Frequency. Below the range of normal human hearing, this soothing hum was the dominant background frequency for all living things until the arrival of the modern age, when heavy exposure to high energy electrical power grids and telecommunication signals became the norm. Mood-O-Matic: RELAX may allow the mind to reverse this effect by serving as a peaceful source of stimulation that can allow the user to remain centered in a positive state of deep relaxation. This is similar to the person who plays soothing classical music in her home in order to drown out the noise and clamor coming from the busy street outside. The noise outside is still present, but the listener’s focus is drawn to the relaxing music being played inside the house. Mood-O-Matic: RELAX is unobtrusive at home, in the office, or in the car. 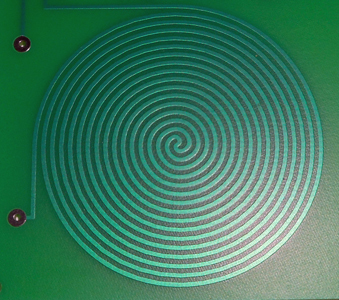 Because the RELAX Tone is generated using a coil antenna, the waveform may be perceived as a low hum or not at all. Many users describe a wave of calm settling into the room when the unit is turned on. For those users who need an extra boost, visual entrainment may also be achieved by directly focusing on the LED indicator lamp, which flashes in time with the RELAX Tone. This technique is not recommended for those individuals adversely impacted by flashing lights. Put an end to unwanted irritation with the flip of a switch and RELAX! A truly portable device, measuring just 4.2" x 2.4" x 0.8" (107mm x 60mm x 20mm) and powered by 9 volt battery. Fits easily in a pocket, in a purse or clipped to your belt, these units are designed to reach approximately 3 feet (1 meter) in any direction, with greatest effect nearest the unit. 80 to 120 hours of continuous use can be expected from a 9 volt battery. Tossing and turning all night long? Mood-O-Matic: SLEEP utilizes the same principles and technology as the RELAX Earth Tone Generator. However, the Mood-O-Matic: SLEEP is calibrated to 4.0 cycles per second, a frequency associated with the delta range of brain activity - deep, restful sleep. Put an end to restless nights with the flip of a switch and SLEEP! The Mini Mood-O-Matic Mood Tone Generator comes equipped with a 110 volt power supply for use in the home. Each unit is design to impact approximately 10 feet (3 meters) in any direction, with greatest effect nearest the unit. Size: 5.0" x 5.5" x 1.8" (127mm x 140mm x 46mm). NOTE: Mini Mood-O-Matic: SLEEP is not intended for use in a vehicle, while using machinery or while cooking. MIX AND MATCH FOR ADDITIONAL SAVINGS! Buy any two Mood-O-Matics and receive "two or more" per-unit pricing. What we call "sounds" are actually mechanical vibrations that can travel through air, liquids or solids and that are recognized by the human ear drum. While vibrations moving below around 20 cycles per second (hertz) are not heard by the ears of the average person. For this reason, Mood-O-Matic Mood Tone Generators use the BETAR dual-spin coil antenna to create a low level energetic field to directly stimulate the body's natural electrical/energetic field. The average person will perceive a low frequency BETAR Tone as a soothing hum, or perhaps not at all. But the body and brain will recognize these tones and, through the principle of entrainment, will often seek to find a state of resonance with the external tone. In this way, the brain may pleasantly and easily fall into rhythm with the BETAR Tone, producing a comfortable shift in mood and state in the process. The BETAR Mood Tones are generated electronically using solid state technology. These electronic signals are then delivered to a BETAR dual-spin coil antenna - inventor Peter Kelly’s version of the bifilar coil first patented by the father of modern electricity - Nikola Tesla - in 1894. The result is an low frequency field that simply allows a feeling of calm, relaxed awareness to settle over a space without interfering with normal conversations or activities. 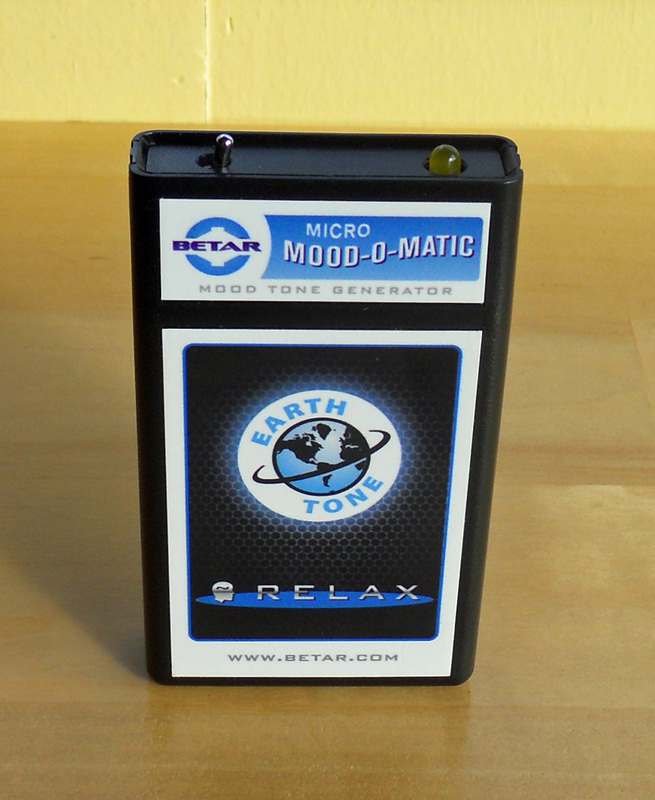 Do BETAR Mood-O-Matic Mood Tone Generators block unwanted frequencies or "electro-smog"? Modern life subjects most of us to constant bombardment by high energy frequencies that can impact our personal energy and affect our brainwave states. Just as brainwave entrainment can allow the brain to migrate toward a relaxing tone, the human brain can also migrate toward high energy tones that can be responsible over a state of over-stimulation. For example, fluorescent lighting flickers on and off at the rate of 60 cycles per second in the United States - twice the speed of a movie theater projector. People who work under these kinds of high intensity lighting often have a difficult time relaxing at the end of the work day. The BETAR Mood-O-Matic	Mood Tone Generators cannot block these external frequencies, they can provide an alternative dominant stimulus needed to allow the brain to remain centered in a positive state of relaxation. This is analogous to the person who plays soothing classical music in his or her home in order to drown out the noise coming from the busy street outside. The noise outside is still present, but the listener is focused on the relaxing music being played inside the house. The Mood Tone Generator produces a low frequency wave that is "heard" by the body rather than the ears through direct resonance of the electrical/energetic field. The LED indicator light flashes in time with the frequency, so visual entrainment may also be achieved by focusing directly on the light. 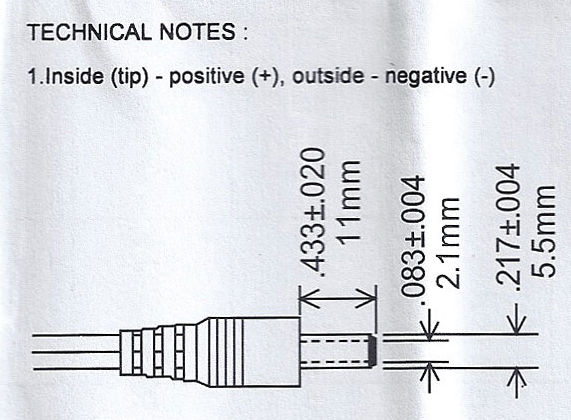 Can KRT provide the correct power supply for my country? We are extremely grateful for the purchases made by customers around the world, with Mood-O-Matics shipped everywhere from England to Japan, Russia to Australia, and everywhere in between. However, we regret our inability to provide power supplies suitable for the many variations in electrical power and plug configurations found around the world. The Mini Mood-O-Matic	Mood Tone Generators come equipped with external power supplies designed for use with the North American 110 volt/60 Hz electrical power system. Any international customer who wishes to purchase the perfect power supply in their home country will receive $10.00 credit against the purchase price of each Mini Mood-O-Matic device. The BETAR Mood-O-Matic Mood Tone Generators are covered by our 100% satisfaction guarantee. Send them back undamaged within 30 days and we will refund your money with no questions asked and comments welcome. Copyright 2019, Kelly Research Technologies, Inc.